We are glad you are attending our Church. By coming to church, you have taken the first step. Another step we hope you will consider is becoming involved in the life of the church and finding the the place in service that fits you. You can explore your spiritual gifts by taking a class that explains your spiritual gifts in detail. We\’ve tried to outline some spiritual gifts that would, if you have them, make you feel very comfortable in a ministry. Once you find one that “fits”, we suggest contacting the ministry leader and sitting in on a meeting to see if your experience confirms your reading of the gifts. We have a place for you to serve and the invitation is extended. Please email Opportunities@MurrietaUMC.org for more information. We need a couple of people to keep some of the data items up to date such as \”Opportunities to Serve\”. Basic computer skills…no programming. Please email skylar.m.sorensen@biola.edu for more information. 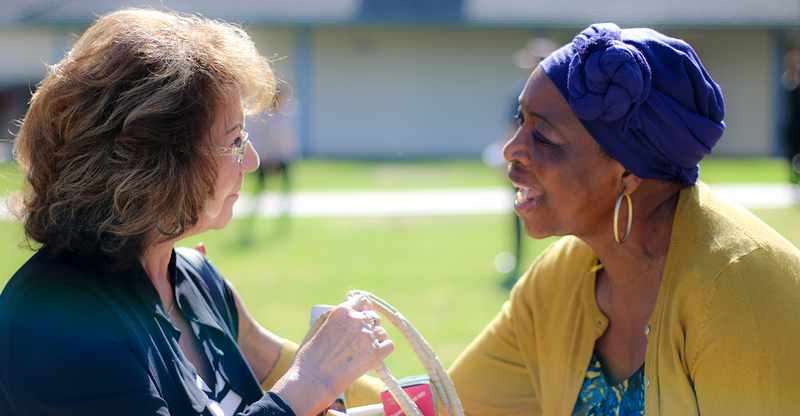 The Caring Ministry is focused on the Loving People part of the MUMC mission statement. Our job is to reach out to the church family, and visit, minister, provide food, transportation and comfort to those who are sick, disabled, and lonely. Card Ministry: We endeavor to reach out by greeting cards to those who have birthday’s and Anniversaries in the church. We also send out love letters to those who have ongoing struggles with illness and disabilities. Visitation: It is our goal to visit those people who are sick at home or in the hospital. If you have the gifts of hospitality, mercy, and/or mercy, you may want to be part of this team who brings the love of the church family and God to those who struggle. Meals: We provide meals to those people who are ill, returning from the hospital, families who have just had babies, and other appropriate times. We encourage you to volunteer to help and be part of a team providing this very useful service. The purpose of the Evangelism Ministry is certainly centered around the “Loving Others” part of our Purpose Statement and follows Jesus’ command “Go into all the world and preach the gospel to all creation” (Mark 16:15). This ministry shows by example, teaches and encourages the congregation to move outside their comfort zone and reach family, friends, co-workers, and others at the appropriate time and place. If you have the spiritual gifts of Faith, evangelism, shepherding, and/or wisdom, we invite you to join into this ministry and make a kingdom difference in our community. The United Methodist Men’s Group is focused on personal growth and support of both men and the church as a whole. Meetings consist of spiritual development and a speaker on a topic relevant to men. Meetings are held in the Fellowship Hall on the first Saturday of each month at 8:00 AM. A breakfast is provided at the beginning of each meeting. All men in the church are encouraged to come. For more information, please contact Alex Alcazar at men@MurrietaUMC.org. At MUMC, we absolutely believe that Prayer is the foundation of Faith. The Prayer Ministry is a group of believers that meets regularly to pray for the concerns of members of our congregation. This ministry also is available for individuals for one-on-one prayer support as well as to lead the congregation in meaningful prayer experiences. If you have the spiritual gifts of Exhortation, Encouragement, Discernment and/or Knowledge, you are encouraged to reach out to this ministry and become engaged in this meaningful work. Contact Lenore Vogel for more information at Prayer@MurrietaUMC.org. This group of women meet weekly on Wednesdays at 10:30 AM and study topical subjects in books by Kay Warren, Max Lucado, Joyce Meyers, and others. Contact Ann Walling at women@MurrietaUMC.org. This group is for young mothers and provides support as well as a topical discussion on parenting/family issues. These discussions are Christian- centered and focus on books or DVD’s to stimulate discussion. Meetings take place on Wednesday’s from 9:00 to 11:00 AM. To learn more, contact Shannon Pettis at moms@MurrietaUMC.org. If you like reading books, this fun-loving group meets once a month to discuss a Christian book they read together. They meet on the first Friday of the month at 7:00PM. For more information, please contact Susan Jefferies at bookclub@MurrietaUMC.org. We consider ourselves a welcoming church and try to go the extra mile to make sure you are warmly greeted and made to feel comfortable. Welcoming Ministry: This is the group you will find at our Friendship Center. They are there to answer your questions, guide you in your first visit, and connect you into the church. Be sure to stop by and introduce yourself…they have a gift waiting for you. Coffee Fellowship: Just outside the sanctuary door, to your right as you are leaving, you will find fresh coffee, Hot tea, cold drinks, and a variety of tasty goodies. Feel free to stop by and enjoy. Hopefully the cup of coffee will lead to an interesting conversation as you begin to make new friends with our church family. Ushers and Greeters: Once you enter the sanctuary, you will find several smiling faces waiting to greet you, answer questions, give you a bulletin and, if you wish, help you to a seat. The Technology Team is focused on three major elements of life within the church family and the community. – Sunday Services – The Technology Team provides the sound, lights, video recording, and video displays at all regular services and special church events. Volunteers are always needed to run the sound board and provide other services. – Computer Technology – Within a modern church, computer technology, networking, and Wi-Fi connectivity are real necessities. All of these services are provided by this group. Again, volunteers are always welcomed. -Website, Blogs, & Facebook – This team focuses on the need to keep a fresh and vibrant website up and operating. Help is always needed to take photographs, run video cameras, post on blogs and Facebook as well as keeping the website information up-to-date. If you are on campus and wish to access the WI-FI system in any of our buildings, see the office for the password. During services, headphones are available at the sound booth (rear of sanctuary) for anyone in need. The Murrieta United Methodist Church provides a beautiful setting for special services such as Weddings and Memorials. The stained glass window sets s spiritual tone. With great acoustics the sanctuary can seat 300 comfortably. Special features available are a sound system (including headphones for individuals needing extra assistance), video projection system, and both piano and theater organ. Pianist/organist, soloist, sound/video technician are available. A bride/family room is included for privacy and preparation prior to the service. Our Fellowship Hall with kitchen may also be made available for a reception. It is important to note that alcoholic beverages are not allowed on the premises. Fellowship hall will seat 250 with round tables, each table seating 8-10 guests. A sound and projection system is also available in this room. To learn more about our facilities, please call Lynne Matthews at 951-677-6174 or at Lynnem@murrietaumc.org.